snap | Where is @rusnivek? 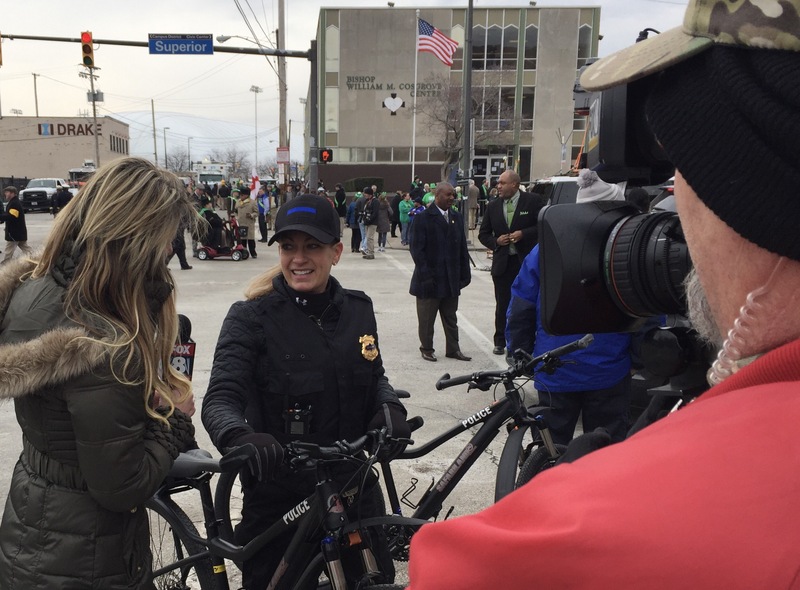 Few Public Information Officer (PIO) takeaways after yesterday’s #CLEStPats Parade. #Spectacles are great for “hands-free” wearable technology…because its difficult to ride a bike and social media. Duh! Hands free is great. 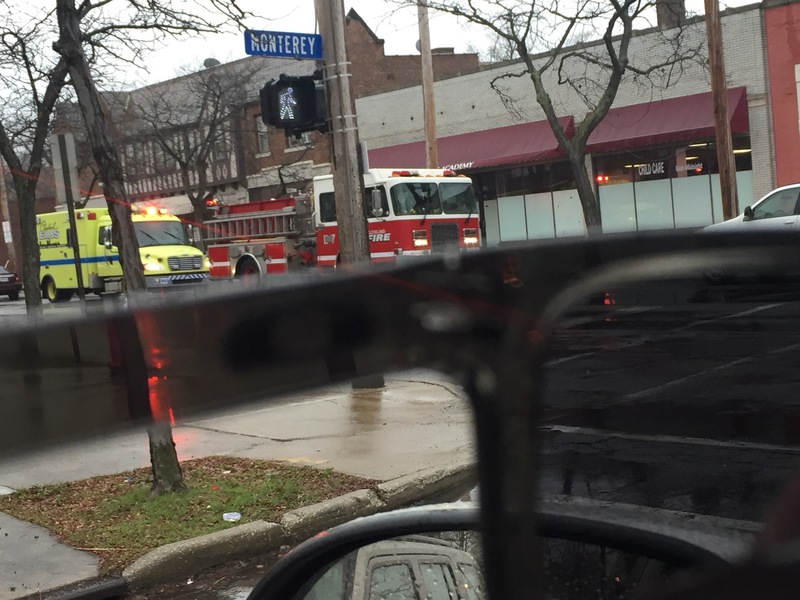 However, many people asked about my Spectacles which made it difficult to focus in on duty stuff. The video activation on Spectacles was tough because I had/could only use my left hand only to start the video. I wonder if those that have been following along on the SnapChat story, are disappointed when they see it’s only a “regular snap” vs “from Spectacles” in the top left identifier. I guess it’s the same viewer mindset as picture vs video because video appeals to more audiences with movement. 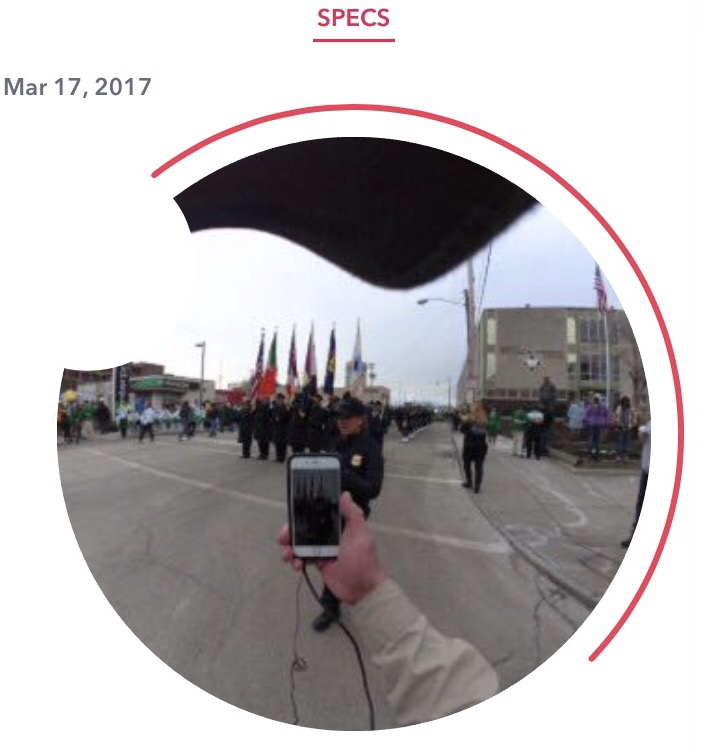 Spectacles video is circular in nature, easy to expand view of scene. Here’s a quick example. Here’s the view from a portrait style snap. And here’s the same view bust just one of the possible views of a snap with viewer control of scene and framing. Obv, lots more to see. Additionally, I can see many of the viewers expecting video as they are getting the “behind the scenes” details with consistent narration. Which means – WE HAVE TO KEEP TALKING ALL THE TIME! Yikes. As for Spectacles, you might want to consider your breathing as part of the “production” because my Spectacles picked up my breathing standing still and on the bike. Wind blocking isn’t so great on them – so your “action” movement might be tough to record proper audio. 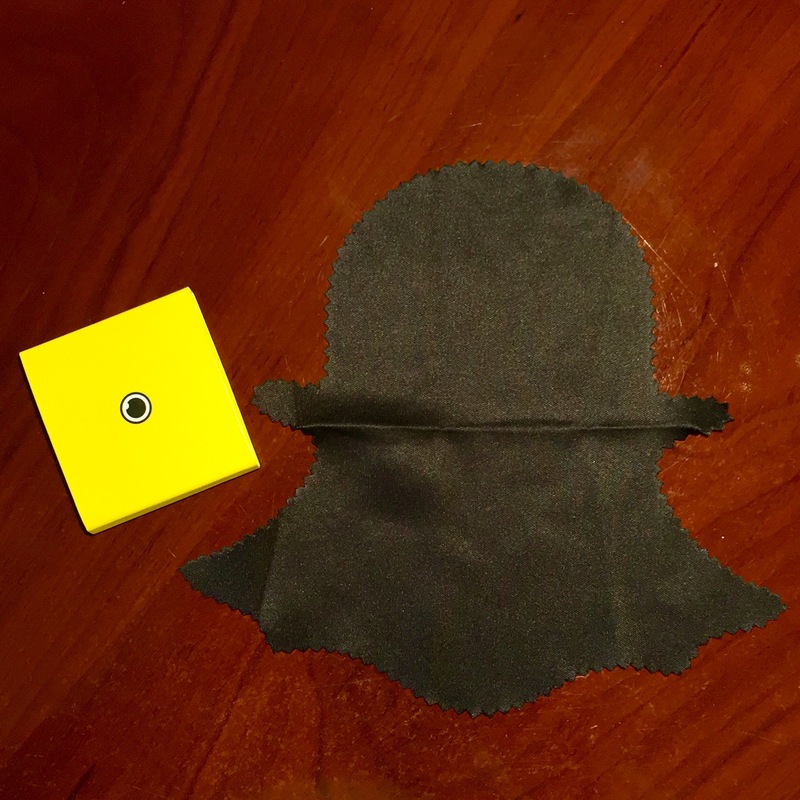 There are no visible ports on SnapChat’s Spectales to attach an external mic. 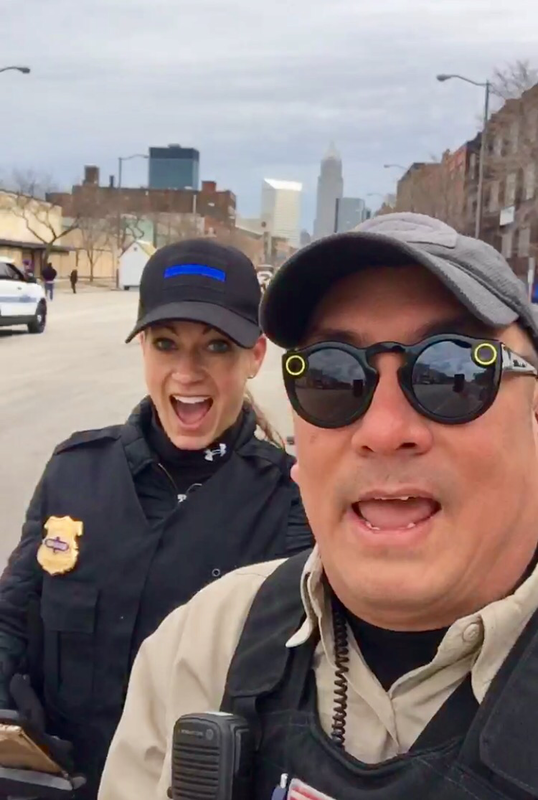 Again, fun times yesterday with Cleveland Police and so many all-hazards partners in public safety. If we consistently support each other, we will all succeed in our respective missions. Third looks – my #Spectacles from SnapChat Part-3. This time, it’s about size. Yep, you heard that right, it’s one size fits all. Me? Well, I don’t exactly have a classic Caucasian face with a sharp nose and chiseled chin. But they sit kinda pinch the bridge of my nose. However, everyone wears their sunnies differently. Tip-3: If you see someone wearing them in the wild, ask them to try it on. BTW-no animals were harmed in the video. Additionally, I am sure you are downloading your content in HD so that drains the battery even more because you are transferring it over bluetooth. 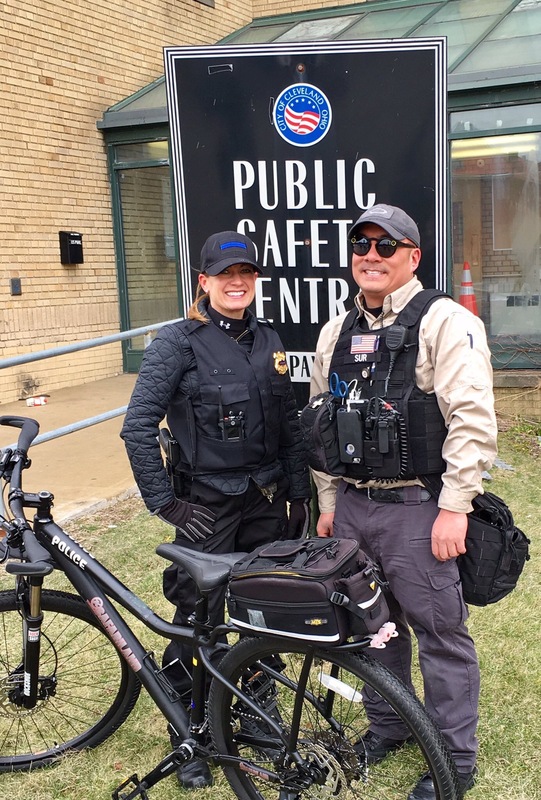 Sucking it dry…with social media. They are big. 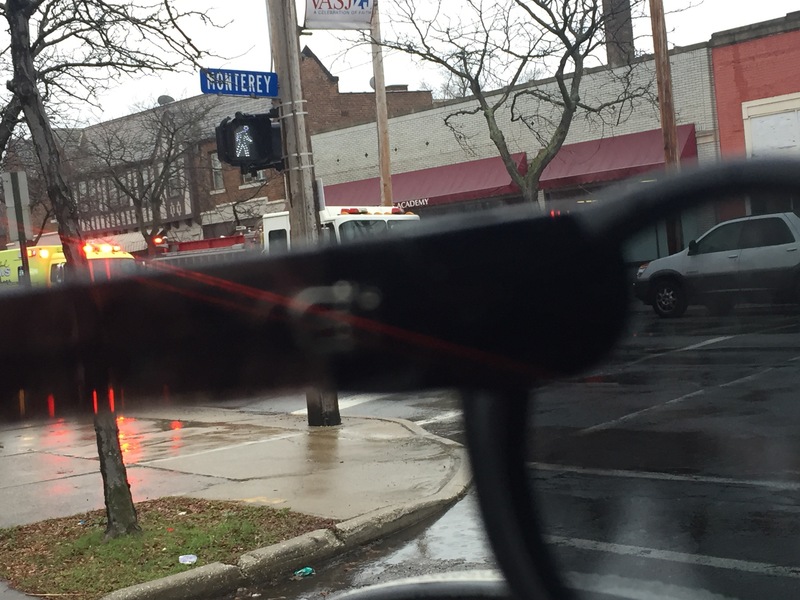 Here’s a comparison from my Spectacles vs an ordinary pair of Oakley Holbrook sunglasses. Obv featuring an Engine and a Squad. Yeah yeah, I know they are now called Snap, but I believe if you reference “Snap” this is what most everyone thinks. Oh good grief. A shaped lens cleaner. And shouldn’t it be square with a white ghost with a yellow border? Well, it’s almost like wearing a helmet around all the time. Wearable tech is the next big hardware gap. Fitness trackers and blue tooth headsets are indoctrinating many of you into accepting the next wave. Just get the chip implanted will ya?!? In the meantime, I’ll be styling. I see SnapChat (now known as SnapInc) is capitalizing on this 2016 Election Day with a whole bunch of different snap filters. Also pondering if they have a stronger presence in swing states by capitalizing on geolocation filters and then using it for poll and voter analytics. 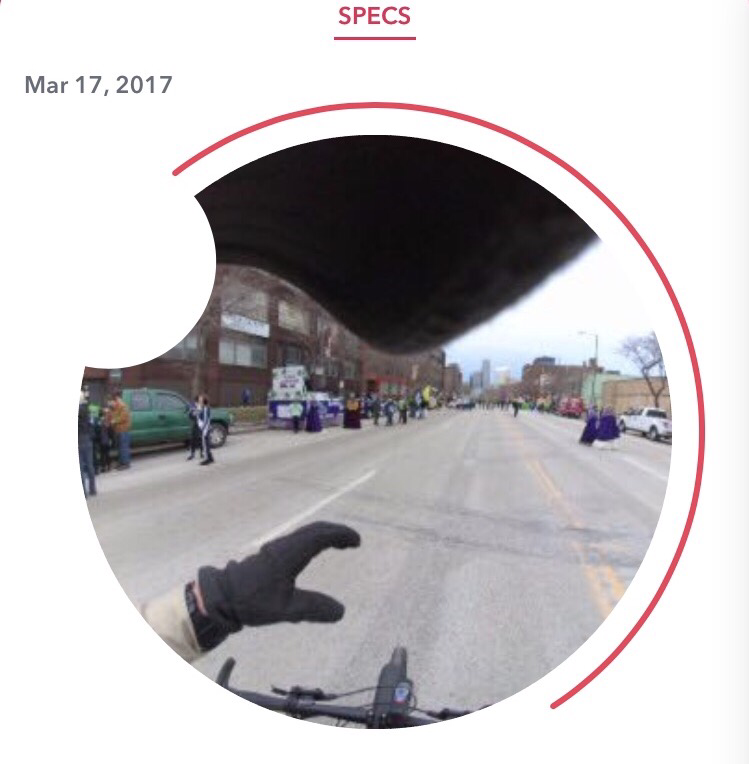 I also wonder what filters (if any) they have that are specifically associated w/ their new SnapChat’s Spectacles (SnapInc’s new Sunglasses that pair with the SnapChat).